As I’ve said about President Trump, Jim Cramer is completely naive and misguided about the Fed and interest rates. The Fed’s ultra-loose monetary policies of the past decade have created an artificial economic boom including a dangerous bubble in stocks and other assets (read my explanation in Forbes). 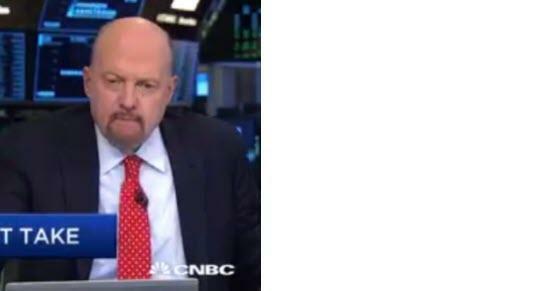 Our economy is completely addicted to monetary stimulus and Trump and Cramer are advocating for the Fed to keep pumping more and more to keep the fake boom alive. They do not realize that the more we try to put off the day of reckoning, the harder the economy is going to fall in the end. While constantly supporting the stock market may seem like a good thing at first blush, it’s creating a massive stock market bubble that is becoming riskier with each intervention. The Fed has convinced investors and speculators that they can take virtually unlimited risk because the Fed will always have their backs. 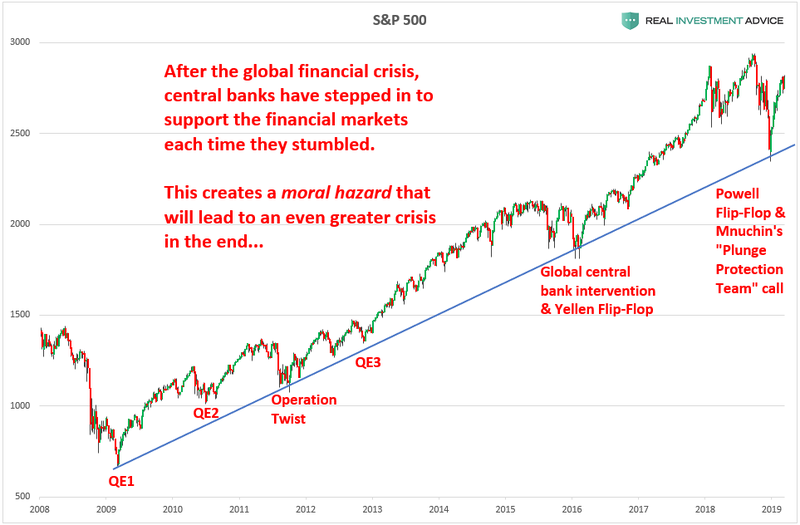 This moral hazard or Fed putis enabling risk to build up to such a high level that will eventually overwhelm the Fed’s ability to control it, which is when the ultimate crash will occur. Realize the ONLY investments you can “buy and hold” are those that provide an income stream with a return of principal function.